Our Playground Shelter will be a popular place in the playground for kids to gather. Whether just taking a breather from play or sitting down to read and learn this is a great little shelter for young children. 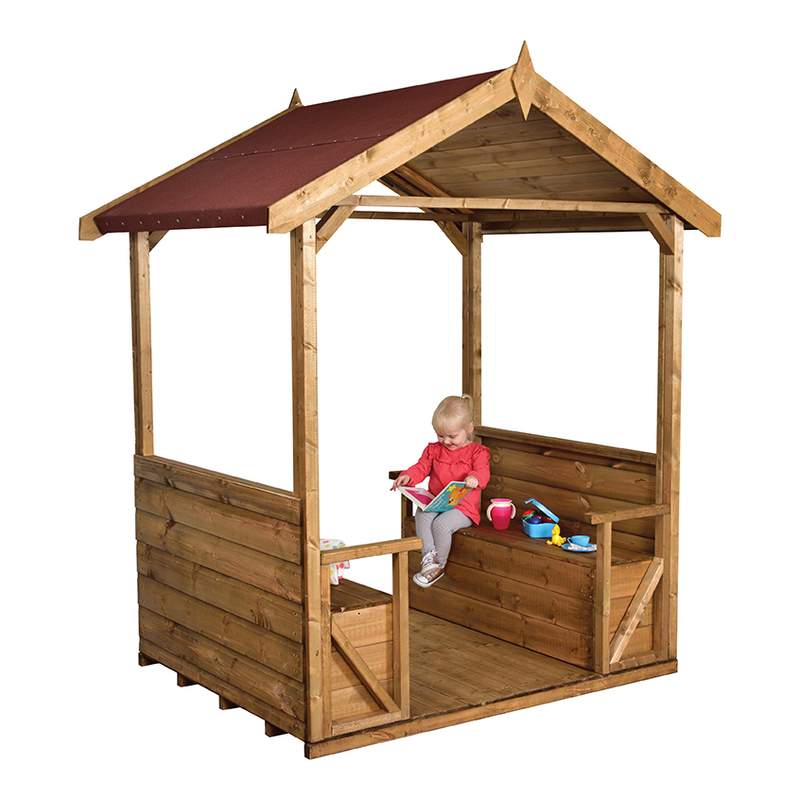 Alternatively, find a space in your outdoor area to use this shelter for quiet time and encourage children to listen to the sounds around them. Sits up to 6 children comfortably. All edges rounded for safety.